It didn't work, they still marched. 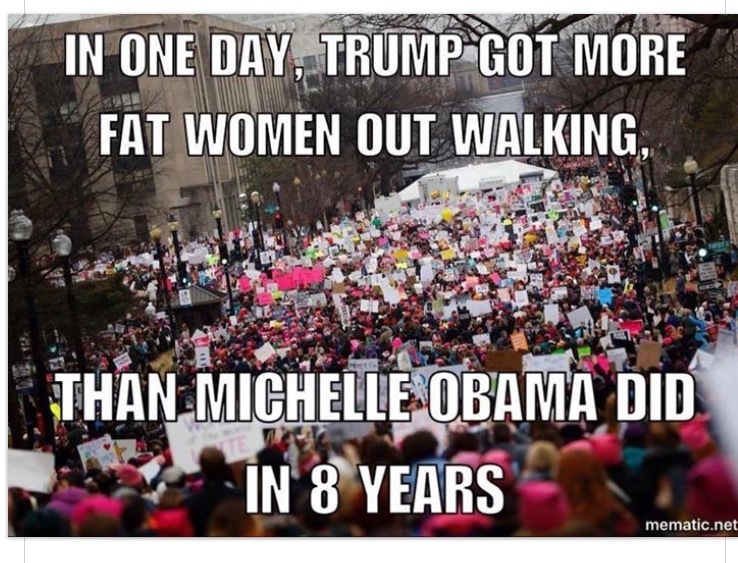 Now they are calling her fat. Congratulations to all the women who marched ... the trifecta of keeping a woman silenced didn't silence you. Thank You Angry Man. You Have Proven My Point.